This could range from clearning contractors, maintenance, gardening though to security contractors. Think of the suppliers and vendors your company engages and do these organisations provide staff that visit your workplace to conduct work? If so, you need to manage these staff and of course the relationship you have with these contractor companies. Are they compliant to continue a working relationship with your organisation? Has their performance been satisfactory in the last 12 months? Do you want to continue using this contractor? - Prequalify all contractors before they start work. Full safety assessment, upload insurances, SWMS, JSA's, Risk Assessment, Incident History, should this contractor be an approved contractor? - Full Work Order integration. Raise a work order, assign to a preferred contractor, track job status. 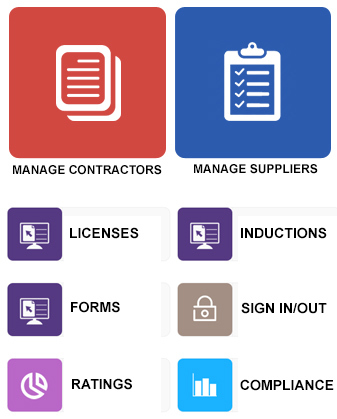 For the first time ever, your entire contractor management system can be delivered via mobile / tablet devices using our mobile app. How do you prevent bad contractors from being engaged by your company? Pre-qualifying contractors on their safety history, insurance and business registration, safe work method statements and compliance can prevent the big issues down the track. How do you manage contractor performance? 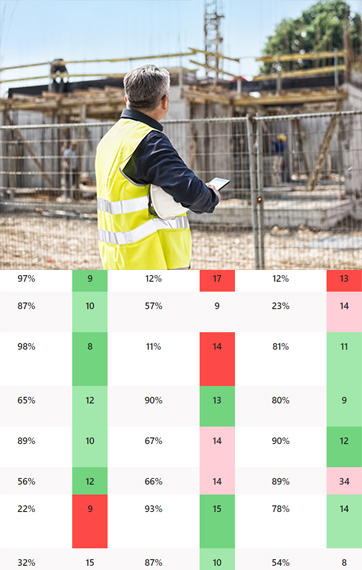 Once contractors start working with your workplace, site or project, it is important to conduct performance analysis on their safety, provision of service, compliance with procedures and overall contractor performance management to understand fully, should the contractor remain an approved and preferred contractor? How often do you check if your contractors should remain an approved and preferred contractor? Contractor Management and Contractor Prequalification made easy with our complete portal of management tools and features. One of the most cost effective, comprehensive and innovative contractor management systems online - see it for your self from the demo opposite! 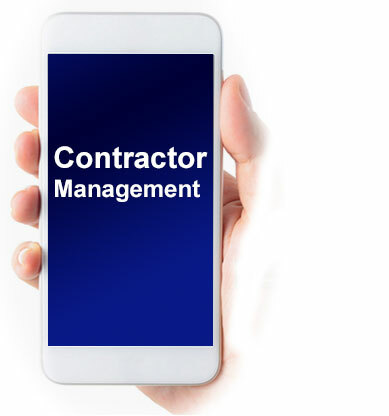 Manage all your contractors from scheduling automatic reminders to your contractors for a wide range of compliance requirements to profiling their progress, collecting required documentation, a searchable database, live activity, reporting, who is on site and much, much more. Ensure that all suppliers / contractors undertaking physical work know your safety requirements and are able to work safely on all our sites.